First Choice Tree Care strives to foster greater awareness of the benefits of trees by assisting homeowners and grounds managers in obtaining the knowledge and services needed to help sustain trees in the urban, suburban, and rural environments. Below you will find a list of some common questions. Arborists are trained professionals that are knowledgeable and equipped to provide proper tree care. They are specially trained to provide a variety to services to maintain trees. ISA Certified Arborists are individuals who have achieved a level of knowledge in the art and science of tree care through at least three years of experience and have passed a comprehensive examination. They are also required to continue their education in order to maintain their certification, ensuring their knowledge is updated on the latest arboriculture techniques. 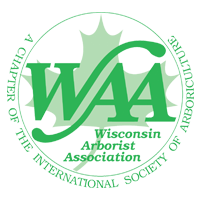 ISA Arborist Certification is a non-governmental voluntary process that operates without mandate of law. It is an internal self-regulating device administered by the International Society of Arboriculture. Certification provides a measurable assessment of an individual's knowledge and competence required to provide proper tree care. The type and frequency of tree care depends on the species, age, location, climate, and other factors that affect the tree's growth. The first step is to educate yourself about your trees and understand their needs. It is imperative to understand that proper tree care is a life long process, and that planting and caring for a tree is a long-term commitment. A Certified Arborist can create a management plan to best suit the needs of each individual tree in your landscape. What is "Topping" a Tree? Topping is the indiscriminate cutting of tree branches to stubs or lateral branches that are not large enough to assume the terminal role. Other names for topping include "heading," "tipping," "hat-racking," and "rounding over." Topping is perhaps the most harmful tree pruning practice known. It is usually done to reduce the size of a tree. Often, homeowners top their trees because they feel that they have become too large for their property and are a hazard. However, topping will make a tree more hazardous in the long term and is very harmful to the health of a tree. No educated arborist would ever "top" a tree. "Pollarding," often confused with topping, is an ornamental style of pruning popular in Europe, which involves annual trimming of the new shoots. Mulches are organic materials placed over the soil surface to maintain moisture. Mulching is extremely beneficial to trees. It can reduce water loss from soil, minimize weed competition, and improve soil structure. Properly applied, mulch gives landscapes a healthy dose of benefits for your trees. As soon as you notice any abnormality in your tree's appearance, you should begin a careful examination of the problem. Insects and diseases can threaten a tree's health. You should contact a Certified Arborist for assistance immediately. By identifying the specific symptoms of damage and understanding the causes, they will be able to diagnose the problem and recommend appropriate actions for treatment. Trees are essential to our world, offering a wide range of benefits to our environment. However, trees become hazardous liabilities if they fall and injure people or damage property. Proper, constant maintenance will help prevent and identify when a tree becomes dangerous. Evaluating the seriousness of a trees condition is best done by a professional ISA Certified Arborist. How do I find more information about tree care? One of the best websites for consumer tree care information is www.treesaregood.org. For personalized service and detailed information pertaining to your trees, it is best to contact an ISA Certified Arborist to schedule a consultation. For a nominal fee, a Certified Arborist can provide you with a wealth of information including tree identification, proper pruning, insect & disease problems, and soil nutrition.